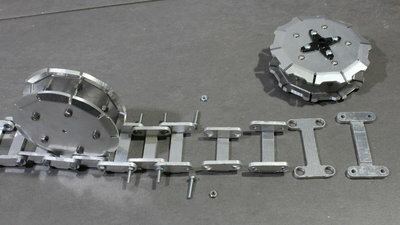 The mechanics of R12 is made from 3mm Aluminium sheets I have cut with my CNC v3.2.2. 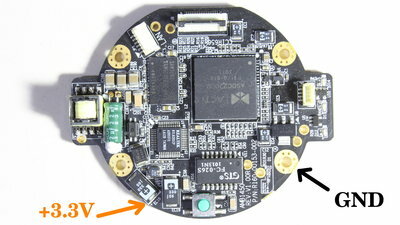 The IOT2020 is connected to WLAN through a mini PCI module. 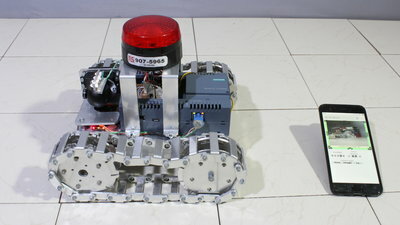 You can control the robot through a Browser interface. 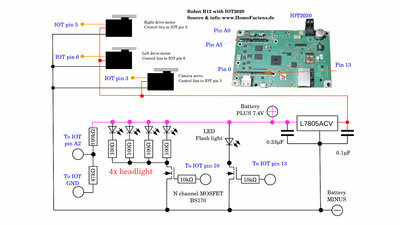 LEDs white 25 810-6702 25 per package, is enough for 5 Rovers or bighter illumination. Most of the electronics is on a tiny board that can be plugged on the GPIO header of the IOT2020. I have soldered two linear voltage regulators on the board, but only one is needed. 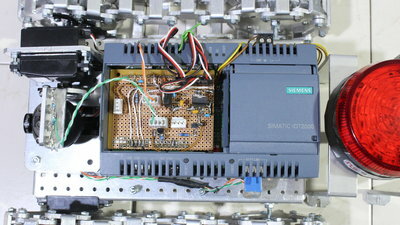 The power comes from a 7.4V rechargeable Battery with 2000mAh which is good for more than one hour of operation. The red LED flash light is an option. I am using an IP LAN camera type ACM-3601 to transmit live pictures to a Browser. The camera normally uses PoE, but I have connected the +3.3V and one of the GND pins of the IOT2020 directly to the board of the camera. 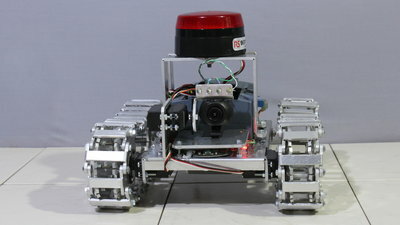 R12 is a Rover I will take with me when going to maker fairs. If you visit me on one of those meetings you can have a test ride. More robots are available in my RoboSpatium.